I just returned from a very interesting week at ICANN’s conference in Beijing – I have been to Hong Kong many times, but this was my first visit to mainland China. I had no idea what to expect, but visions of communism and martial law kept dancing around in my head. 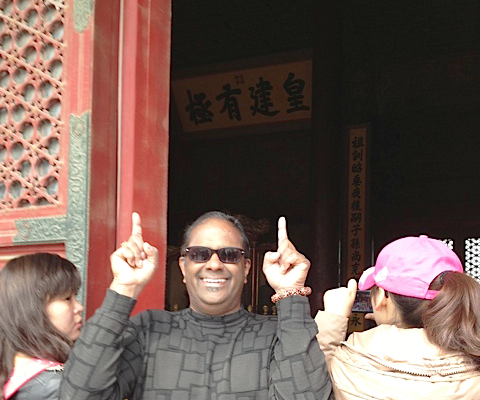 Arriving in Beijing, however, I was amazed at how vibrant, bustling, and – dare I say it – capitalist the city was. Entrepreneurship and its associated vitality were everywhere. ICANN had a VPN that circumvented China’s national firewall, allowing conference-goers unrestricted Internet access. At the hotel I saw some two to three hundred people wholly unrelated to ICANN, and realized word had gotten out: these people were taking advantage of ICANN’s network to escape the firewall! It seemed particularly apropos considering ICANN’s role as an organization seeking to promote access to an autonomous internet. With the buzz of good old capitalist fervor, I was surprised to see how effective the state’s disinformation campaign has been. I met up with a friend of mine – a well-educated, pro-America, Chinese national living in Beijing and otherwise well informed – who thought the events in Tiananmen Square had only resulted in a few accidental deaths, rather than the hundreds-and-possibly-thousands of deaths reported worldwide. She was equally unaware of China’s role in the human rights violations perpetrated in Nepal and Myanmar. It is amazing to think that this selective information is happening in 2013, particularly with the depth of human capital and knowledge available in China. It seems as though the Internet is indeed the great equalizer: information changes societies from the ground up, and communication is the greatest boon to progress. It’s just a matter of time before the Chinese people demand better from their government. During the Ming Dynasty, the Yongle Emperor built the Forbidden City palace with 10,000 rooms, so each of his 3,000 plus concubines had her own place to stay. In one of these rooms, hanging above his throne, is the telling sign pictured above: “The Emperor should not have too much power,” an aphorism just as applicable to China’s government today.